Happy Friday to everyone! So sorry this edition of "Friday Face" is up late! I have a lot of new products to share with you all throughout the upcoming weeks and I'm super excited to give you some detailed reviews! Tarte Amazonian Clay 12-Hour Foundation (Fair Sand): I resorted to buying the Amazonian Clay foundation since the Ivory shade in the Maracuja foundation never came in stock. I've been wearing this for over a week now and I'm still on the fence about it. It feels amazing on the skin but I feel that it lacks in the coverage department? 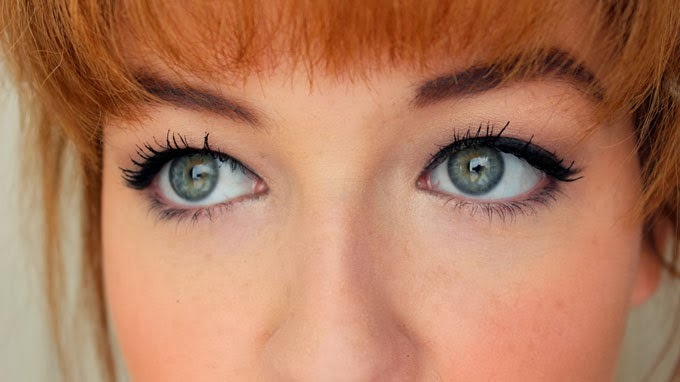 Especially once the day is over, I notice most of my freckles showing through. My BM powder foundation stays flawless all day, the only problem I notice with it is you can see where I'm dry which is why I wanted to try a healthy liquid/cream product. 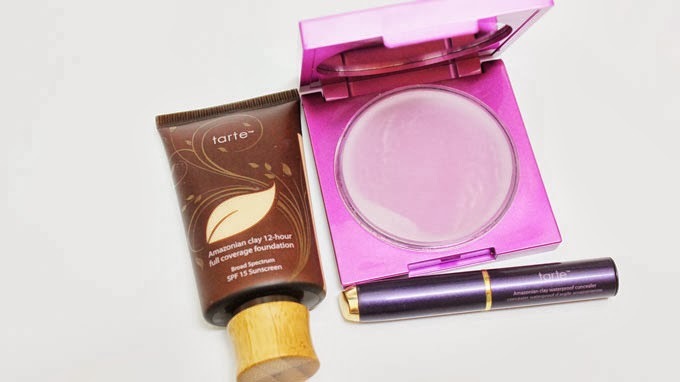 Tarte Amazonian Clay Creaseless Concealer (Fair): I'm really enjoying this concealer, although I don't think it's a must have. It's very creamy and easy to apply. I think I'm struggling with the same problem as the foundation though, it wears off by the end of the day, especially under my eyes. Not a game changer for me currently. Mally Evercolor Poreless Face Defender: I've lusted after this product for ages! It finally went on sale at ULTA for their 21 Days of Beauty clearance sale. I purchased it for $25 (originally $40) and it works really nicely with my all powder products. For example, when I wear all Bare Minerals (powder) it definitely tones down the sometimes "overly" powdery look I can get under my eyes and around my mouth where I'm dry. When I use it with all of my cream products to set everything, I'm not exactly impressed with it. I'd rather just set everything with a translucent powder. 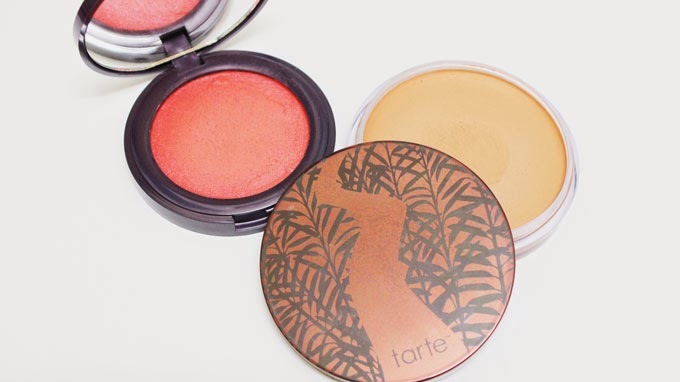 Tarte Airblush in (Shimmering Poppy): I've been so in love with this blush lately! As you can probably tell, I've been trying out a lot of new Tarte products and I have to say, this blush has been my favorite. It's funny because I've never heard of this blush before?! I was randomly browsing the blush section and stumbled upon it. The Poppy shade immediately stood out to me so I threw it in my shopping cart, not expecting much. I was so surprised when I applied it and saw how amazingly it blended into my skin. It also doesn't apply heavily so you can build it up. I'd highly recommend trying these! 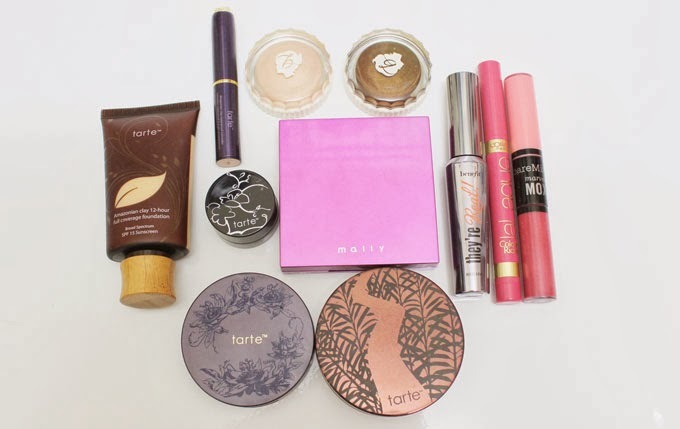 Tarte Cream-to-Powder Bronzer (Globe Trekker): We all know I've been loving this bronzer. 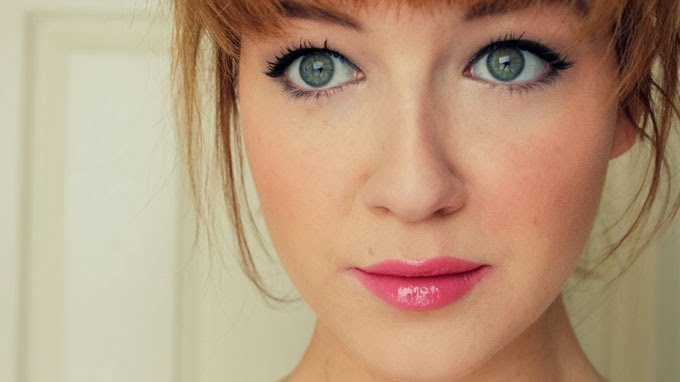 It's great for contouring and also gives you a natural hint of color. 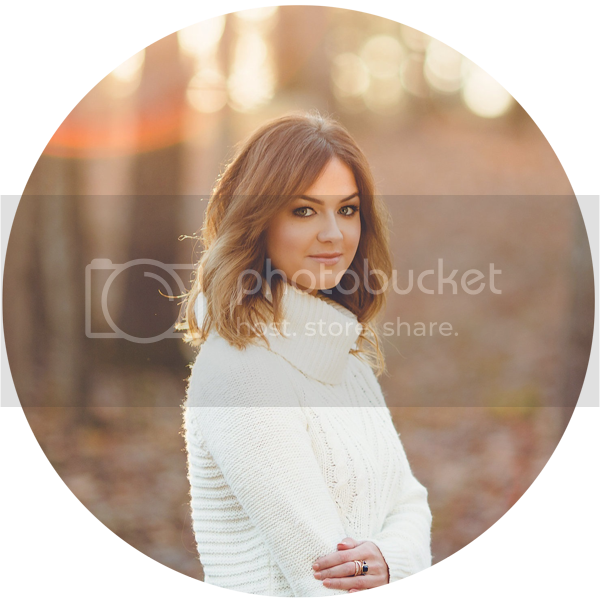 Not too light and not too dark! Tarte Amazonian Clay Gel Liner (Black): I haven't whipped out any gel liner in a long time. Today I was feeling a cat eye so I reached for my Tarte gel liner, which I've loved for a couple years now. 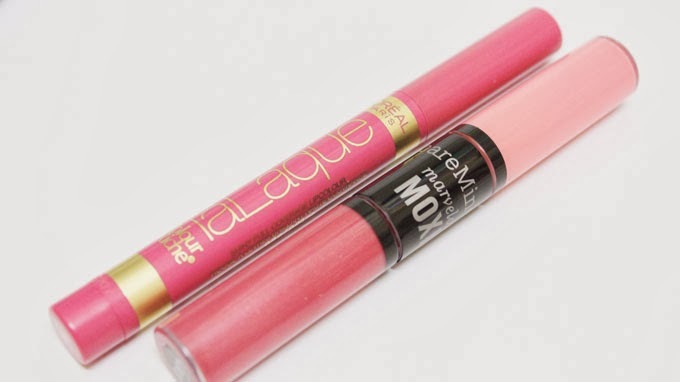 It glides on so smoothly and is highly pigmented! Benefit Creaseless Cream Shadows ("Bronze Have More Fun"/"Bikini-Tini"): I love the consistency of these cream shadows. They apply extremely easy and feel like butta! However, I do have to say the color payoff isn't what you'd expect for a $20 cream shadow. 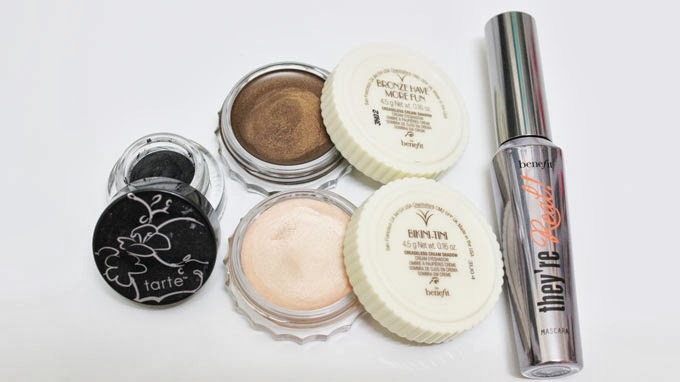 They work best as bases for powder shadows! L'oreal La Laque (Never Lacq-ing): I was so excited to try these but unfortunately I haven't been a huge fan. They are much more pigmented than expected, which is good I suppose. But the shine factor just isn't there for me. They're exactly like a regular creamy lipstick. Excited for your reviews and upcoming benefit post! Leah @ Hug, Kiss, Makeup!